David Norman is a prominent English watercolourist who divides his time between studios in Devon and in the Dordogne. 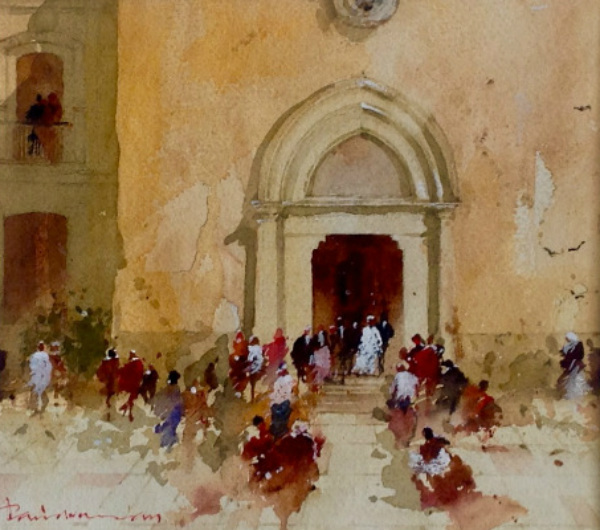 His watercolours are figurative and underpinned by a strong sense of draughtsmanship, a legacy from a rigorous training in architectural drawing and rendering. David has had many solo exhibitions and his paintings are in collections throughout Europe, America, and the Far East. He is the author of two books on watercolour painting "The Complete Watercolourist" and "Watercolour, Artists Questions Answered" and a DVD (Taking a Chance in Watercolour) available from Town House Films.